Below are some of our friends that are doing amazing things and have a service or product that we think are making a difference in the world, and in the lives of our clients. We recommend them to you. 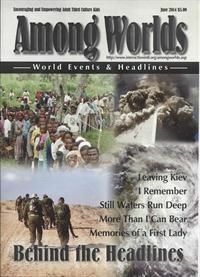 Among Worlds – “Among Worlds” is the principal magazine for third-culture kids that goes directly to the heart issues that many Adult Third Culture Kids (ATCKs) face: Relationships, grief, transitions, home, values and many more. Among Worlds addresses issues that are relevant to adult TCKs today, and “reunites” them with others of similar experience. We love them and are glad that they are around. Check out their magazine and video. $20USD for within the USA, $25USD for international subscriptions/addresses. Gift subscriptions and back issues are available. 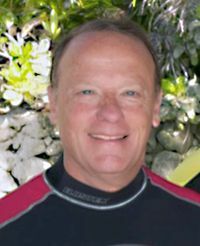 Steve Rosenberg – Steve is a diver, author, photographer and entrepreneur concerned about preservation of the world’s oceans and damage caused by over fishing, lack of enforcement of existing regulations and collateral damage from commercial development.Steve is an advocate for respecting our reefs and marine life, and promoting action that will preserve our seas. He has written over 20 books for Lonely Planet, Cruising Guides, and AquaQuest Publications. 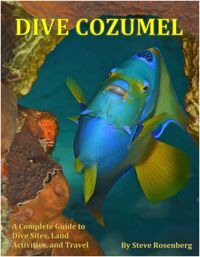 His most recent guide is “Dive Cozumel,” which was released in November 2014. 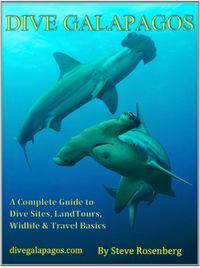 “Dive Galapagos” is also available. (Both can be found on Amazon, iBooks, Kindle, and Google Play) For more information, go to his website http://www.rosenbergebooks.com . To read his blog, go to http://www.rosenbergebooks.com/#!blog/c112v. 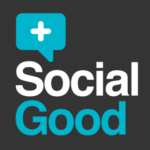 +Social Good – Using social media, conferences, summits, and more, Plus Social Goodis bringing together the worldwide community, business, aid organizations, NGOs and governments to address the most critical needs globally: Hunger, poverty, education, to spark action, and create sustainable, reproducible, locally-owned solutions. Funded by The Bill & Melinda Gates Foundation, the Case Foundation, Caterpillar, Cisco, Enactus, Mashable, the Rockefeller Foundation, the United Nations Development Programme, the United Nations Foundation and the 92nd Street Y. Sign up is free. Check out upcoming events at: http://plussocialgood.org/. Sawyer is doing amazing things with water filtration to offer clean safe drinking water for non-profits and NGO staff/teams of volunteers, and crisis response teams, as well as for relief and development, communities of extremely poor, and areas where it’s known that the water is not safe. Their PointOne is a large-volume gravity fed purification system that can handle up to 170 gallons per day, filters 99.9997% of impurities, and bacteria, requires no chemicals or electricity, and the filter lasts up to 1 million gallons! – For under $200. Simply the highest level of filtration available today. They are changing the world as we know it. Read more at our post here or from Sawyer directly. Check out their videos here, on Vimeo, and on YouTube. FivePints.com – Justin Clegg and FivePints Productions is a video production and web development company that can write, script, film and post-produce your commercials, training videos, and more as well as WordPress websites, and much more. They have done a lot of great work for us over the years. See their vimeo channel at https://vimeo.com/fivepints and YouTube channel at https://www.youtube.com/user/5pintsproductions/featured. You can reach them at info@fivepints.com or through their website, http://fivepints.com/. InfusionSoft – We use InfusionSoft. The small business answer to automation and CRM software. Affordable, powerful, and empowering software for entrepreneurs and other small business to 300 employees or so. Marketing, Sales, Shopping cart at a price everyone can afford and you can’t afford to be without. Check out their YouTube channel at: https://www.youtube.com/user/infusionsoft. You can also check out our Resource Hub here.